Membership in the University Wine Society is a rewarding experience. Our membership is as broad as the University’s: from wine aficionados right through to people who just want to try something new. The main benefits of membership are you get a reduced charge for tastings, as opposed to a normal fee for non-members. 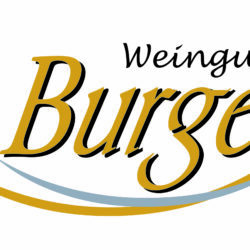 Additionally as a member you’ll receive priority in allocating places for tastings which are oversubscribed. 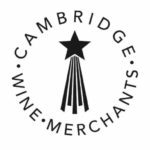 Membership to CUWS provides useful discounts which are available at various Cambridge wine retailers, when you produce your Wine Society membership card. Up to 40% off selected Decanter wine events (voucher codes sent out via the CUWS mailing list). Also, the Georgian Wine Society are offering CUWS Members a 10% Discount on all cases (inc. half cases). Specialising in the finest Georgian wines, this presents an opportunity to try something a little different. Go to www.georgianwinesociety.co.uk. Simply choose your wines from the wide selection (including mixed cases), and send your order to orders@georgianwinesociety.co.uk with the discount code ‘CUWS’. The GWS will then send you a secure electronic invoice with your 10% discount allowing you to pay either directly over the web, or by bank transfer. Multi-year memberships are only available to current students and alumni. Members of the public can still buy 1 year memberships. Memberships are measured for academic years, and so will last until the last event of Easter term. If the email account used during registration is not @cam.ac.uk, or @cantab.cam.ac.uk, you will need to provide proof of your student/alumni status to confirm your membership. As soon as you have paid we have a record of your membership status, so you can buy tickets at the member price immediately (note that if you bring guests who are not members they will still need to pay full price). You can collect your membership card at the next tasting from the membership officer. Alternatively, if you would like to receive your card by post, please email the membership officer with your college or address (cuws-membership@srcf.net). To find out when upcoming events will be on sale, make sure you join our mailing list (non-members welcome). One year membership (cam students and alumni) £20.00 now. One year membership (others) £35.00 now. Two years (cam students and alumni) £30.00 now. Three years (cam students and alumni) £40.00 now.